That’s why we’re here. Every week, the Multiversity staff is asked “What would you buy this week if you couldn’t go over $20?” and shares their reasons why, in order to help others who might have similar tastes make their own decisions in buying comics on a budget. Follow the cut to see everyone’s picks for the week. Haunt #19 ($2.99) – Joe Casey and Nate Fox on Haunt! I don’t know what more you want from a comic. Near Death #3 ($2.99) – Jay Fearber’s new book is plugging away, and with three issues of one-and-done stories of retribution with great art by Simone Guglielmini, this is turning into quite the entertaining title. Definitely a book worth keeping up with. THUNDER Agents vol. 2 #1 ($2.99) – One of my favorite DC books of the past year. Easily Nick Spencer’s best mainstream superhero work so far, deconstructing superheroes and the team mentality by reinventing an older team for the new generation. I’m disappointed it is reduced to a mini, but at least he gets to finish telling his stories. Spaceman #2 ($2.99) – Love me some Azzarello and Russo. This Clockwork Orange-esue entry into their collaborative bibliography started off great, and I can only imagine how great it’ll turn out. 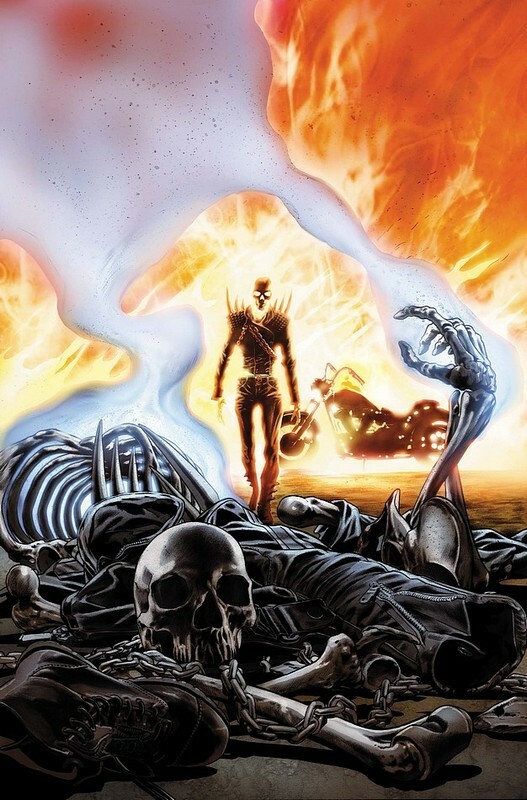 Ghost Rider #6 ($2.99) – I am greatly enjoying Williams’ work with the new Ghost Rider, Alejandra. Sad to see the book get cancelled, but I’ll stick with the book until the end. You should too. Ultimate Comics Ultimates #4 ($3.99) – My only “high profile” title of the week, but I am loving what Hickman is doing on the Ultimates. Specifically, that he is just breaking everything apart, with great help from Esad Ribic. It really is a bold new age for the Ultimates after all. Ghost Rider #6 ($2.99) – Fresh off having her date with the guillotine penciled in and I could not be more ratcheted in to the new adventures of new Ghost Rider. We’ve got two issues left now, so we might as well see how masterfully Rob Williams puts the short lived solo adventure of his fiery baby to bed. Even money says he does so in an amusing, thoughtful, distinctly British kinda way. THUNDER Agents vol. 2 #1 ($2.99) – Despite having most of the books to come out of his Marvel exclusive cancelled or aborted, this particular Nick Spencer joint is getting a second chance at life. After it’s thought provoking, riveting and tumultuous first chapter, one can only imagine what will come from this new beginning now that all the world building is done and it’s time for the brawlin’. FF #13 ($2.99) – Jonathan Hickman gets to write adventures in the Fantastic Four universe twice a month now. There is absolutely zero reason that won’t go stunningly well. Fact. Uncanny X-Men #2 ($3.99) – Kieron Gillen’s relaunch of the X-Men core title was, in my head, a stronger story than the merry mutants’ first debut in 1963. He can only go up from here, of this I am universally sure. 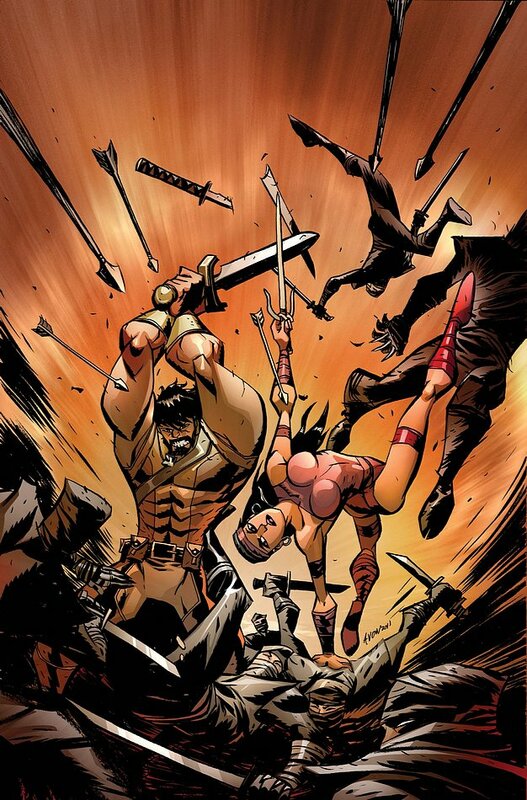 Skullkickers #12 ($2.99) – Pure fun in comic book form and if you disagree then you hate fun. You don’t wanna be known as a fun hater, now do you? I thought not. Daredevil #6 ($2.99) – One of the most thoroughly enjoyable comics Marvel puts out that (probably) has very little chance of getting cancelled prematurely. Hooray! 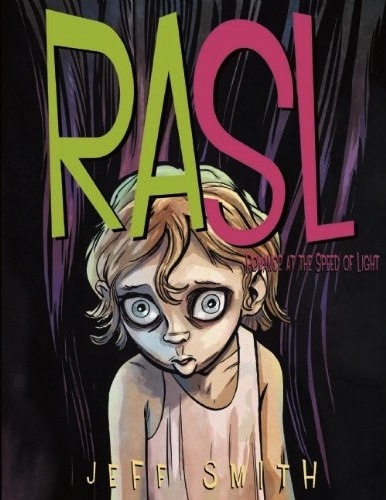 RASL Vol. 3 TP ($15.00) – I missed the third arc of this series while traveling, and I must catch up because there is one simple truth in comic life: you must read Jeff Smith’s comics. It’s just the reality of the situation. I’ve greatly enjoyed RASL, and I can’t wait to see where the series goes from where I left off. Plus, this is a crazy tiny fifth week of the month, so I am grasping at straws. FF #12 ($2.99) – Awww yeah, Hickman FF business! Fantastic Four #600 was awesome, this book continues those story threads with art from Juan Bobillo. I couldn’t possibly be more onboard than I am right now. Get to it, fantastic folk! Herc #10 ($3.99) — Tippin’ a keg for my homeboy Herc cause his amazing run is dunzo. Me love you long time, Hercules! Angel and Faith ($2.99) — It had a rough time of it last issue, but Angel and Faith are still my favorite characters in the Buffyverse. Look for another installment of Buffyversity tomorrow all about this issue! Daredevil #6 ($2.99) — This book is so much fun. If you don’t like it, you must not have a soul. FF #12 ($2.99) — Now that the Fantastic Four are back, the new direction in Future Foundation is intriguing. I’m looking forward to it! Uncanny X-Men #2 ($3.99) — The X-Books are fun again, and it’s about time! 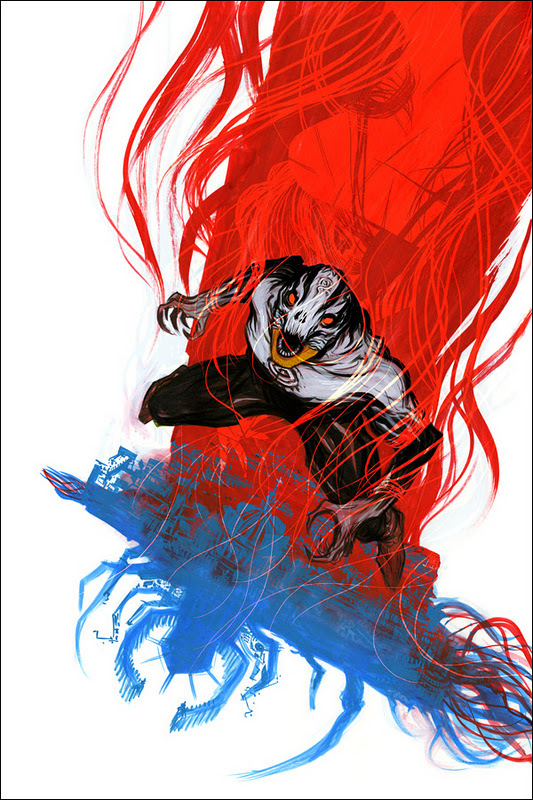 Let’s get ready to root for the bad guys as Cyke, Emma, and company take on the resurrected Mister Sinister! Hotcha! X-Men: Legacy #259 ($2.99) — Admittedly, I’m picking this up again because the Regenesis tie-in means it should be new reader friendly. It should be, every other title has been!